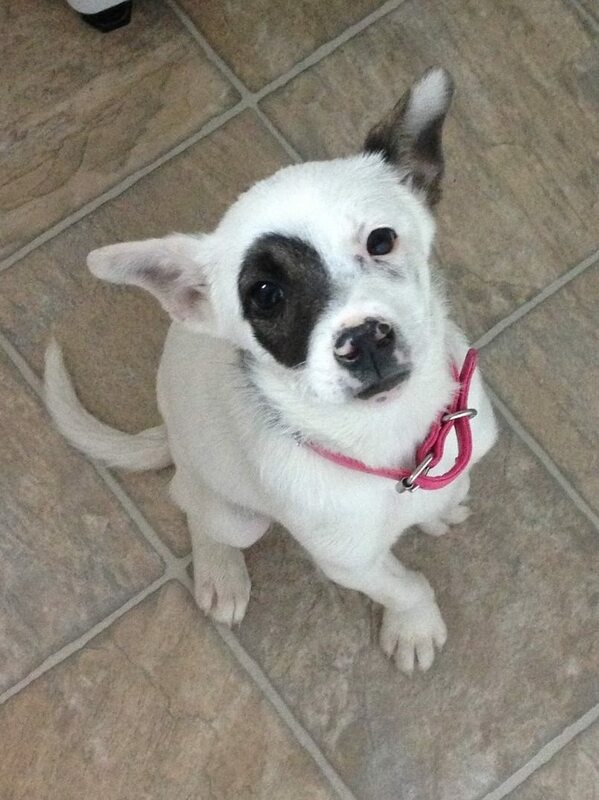 Patches is a female, high-energy terrier puppy. 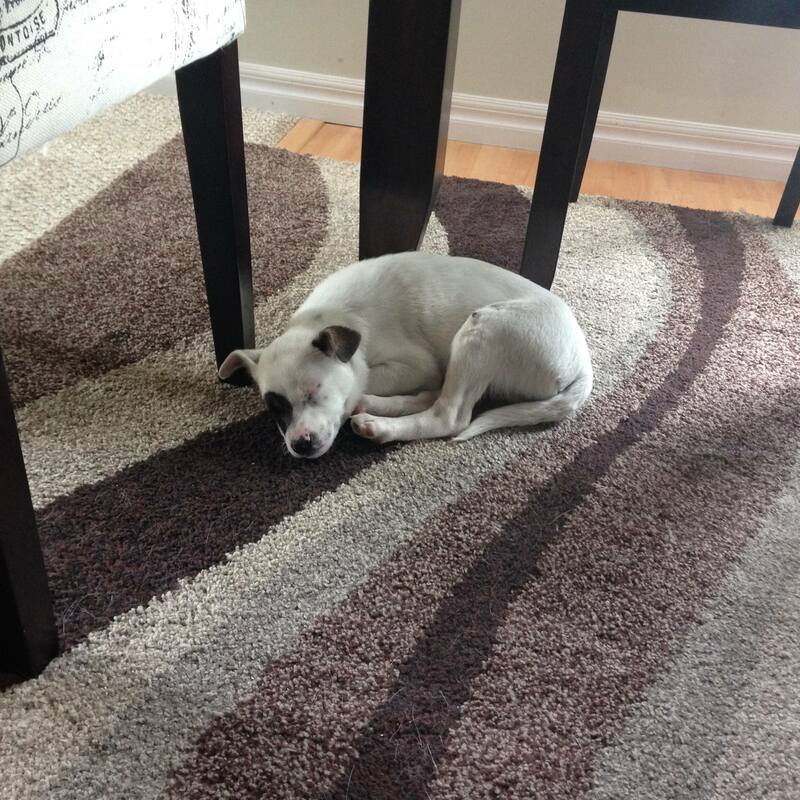 Patches is about 3 months old we think… Best guess on her breed is Jack Russell Cross… She is smart and “fast”…! A high energy mover and shaker. An owner who has a secure inescapable fenced yard would be required. As well as an owner willing to do obedience training, and provide significant play and exercise time, so she is a happy well adjusted little girl. I’m fostering “patches” right now. She is an absolute pleasure in my home. She gets along great with my two large 1 yr old dogs (2 is enough which is why I’m not keeping her). She is almost house broken and I have started crate training with her. She spends her nights in her crate without issue or incident. We had our first vet visit yesterday and was given her parvo and deworming and a clean bill of health. She isn’t loud, loves to play and eat! She’s fast but loves her humans and stays very close. She’s currently 8.5 lbs and three months old. Please share this so we can find Patches her much deserved fur-ever home!! If you are interested in adopting Patches, you can submit an adoption application. 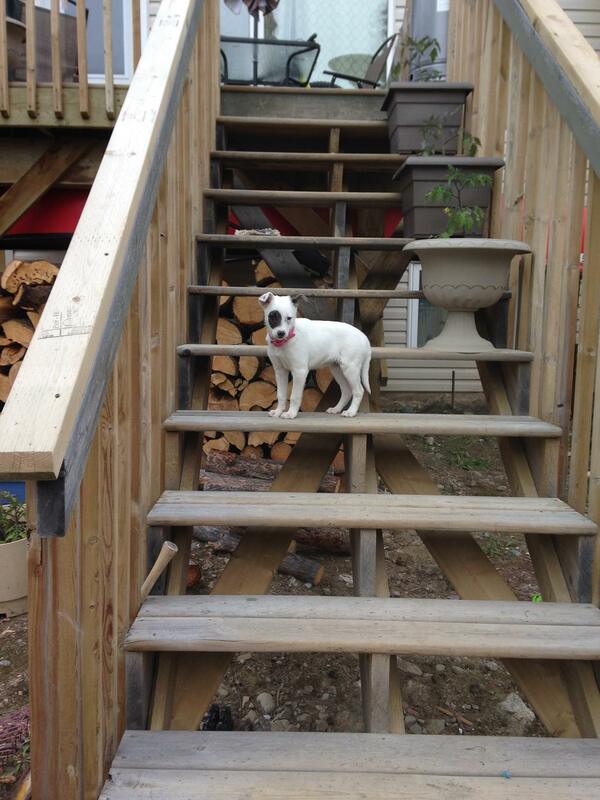 Patches is a high-energy terrier puppy. Patches needs to naps to recharge!